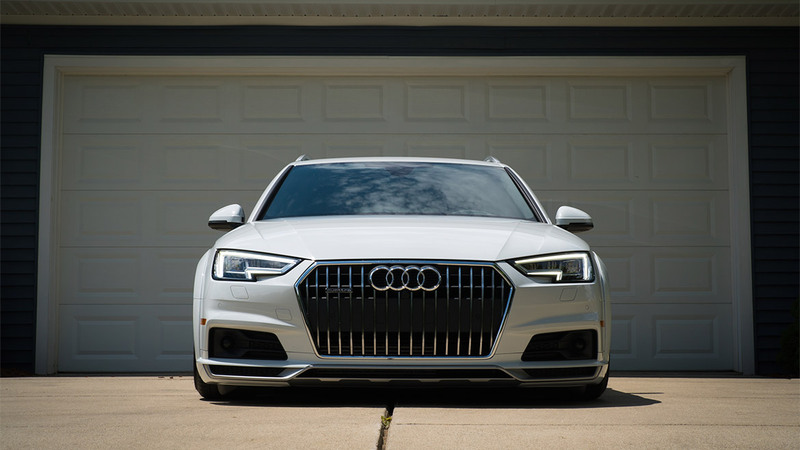 The Audi A4 B9 is a worthy challenger to the other luxury sedans, with some reviewers even giving it the edge over its rivals. Featuring a quiet interior, where almost no engine noise is noticeable, the A4 is even more luxurious than ever. It’s built to be economical and easy to handle over long drives, but where’s the sporty drive that you’d expect from an Audi? That’s where Air Lift Performance is here to help. 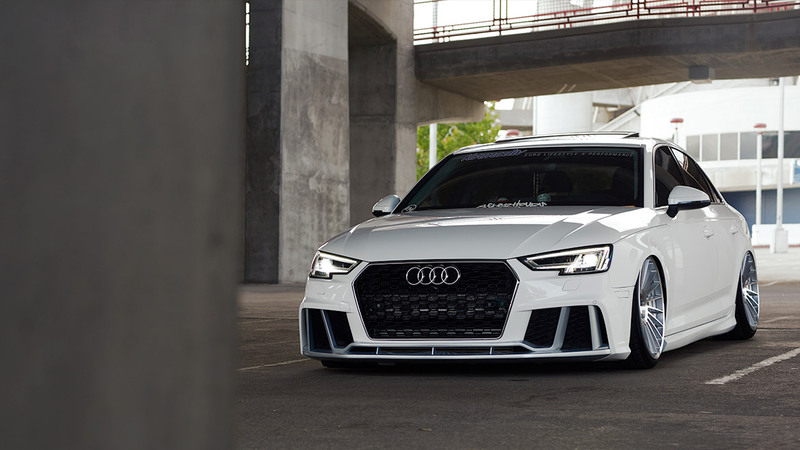 In order to get you the slammed stance you want and the sporty performance you need, Air Lift Performance engineered the front kit to feature our double-bellow air springs, paired with threaded-body, monotube shocks. With 30 levels of damping adjustability, you can perfectly tailor your Air Lift Performance shocks to your unique performance needs. Our kits are all about achieving the versatility that the common coilover cannot, eliminating classic lowered-car problems, like bottoming out, all at the touch of a button – giving you the freedom to drop down 126mm (5.0”) on the go. In the rear, you have options – pick between shocks or no shocks, but either way, you’ve got the Air Lift Performance advantage. With vehicle specific anodized aluminum mount brackets and custom steel toe links, you have the ability to get a smoother ride at a lower air pressure, helping you find that performance that you’ve been missing. Add in the mega-drop of 161mm (6.3”) and you’ve got both the perfect lowered look and the perfect ride. To ensure the longevity of the kit, all key suspension components have been tested on our hydraulic test rig for more than one million cycles, then tortured at extreme temperatures from -30º F to 150º F. Add that to our standard one-year, unlimited-mileage warranty – not to mention the Air Lift Performance reputation for exceptional customer service and technical support – and you can purchase this kit with peace of mind. It’s time to take your Audi A4 B9 to a whole new level of low and begin your #lifeonair. Looking for the 2017-18 53mm front lower mount kit?